The fabrication of groups as different, as other, often has significant consequences, including violence and discrimination. This volume focuses on the discourses that construct Islam in the aftermath of traumatic events and thus illustrates how academic analysis of the fabrication of difference can contribute significantly to public discourse. It centers on two critical analyses by accomplished scholars who have written publicly on the constructions of Islam and Muslims as others. Mayanthi Fernando analyzes the rhetoric surrounding French laïcité (often translated as secularism) in the aftermath of the attack on Charlie Hebdo in Paris in 2015, highlighting the ways the majority uses the language of laïcité to diminish the presence of minorities. Aaron Hughes analyzes how scholars and others construct Islam in response to acts of violence attributed to people who identify with Islam, thus illustrating how critical academic analysis can contribute to the understanding of both the contestation and ideology behind groups such as ISIS. 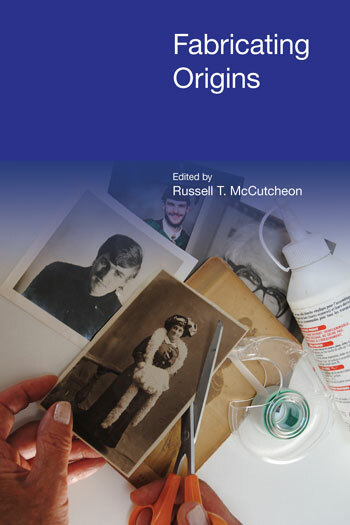 Ten early career scholars apply and extend the questions and approaches of these central essays in short reflections that apply these issues in new ways to other contexts (e.g., India, the United States, early Christianity) and topics (e.g., social issues in politics, religion vs. non-religion, nationalism, scholars in public discourse). The volume concludes with a substantive Afterword that broadens from these specific current events to present an extended analysis of the fabrication of difference and the ways recognizing these processes should influence our scholarship and our engagement with public discourse. In addressing the ways people construct difference and the Other, this volume, therefore, provides one answer to the question of the relevance of these fields in a period of both political challenge and internal critique of the assumption of the universality of academic research. This chapter introduces the general issues surrounding the fabrication of difference through a selective emphasis on particular differences and similarities, such as the difference between Muslim and non-Muslim, terrorism and legitimate violence, scholarship and public discourse, among other notions of difference that ignore other differences and similarities. This essay also briefly reviews the events that the two main essays in the volume (by Fernando and Hughes) highlight, specifically the Charlie Hebdo attacks in Paris and the general rise of ISIS in 2015. This essay also introduces the plan of the volume and the various responses to those two central essays. Mayanthi L. Fernando is an Associate Professor in the Department of Anthropology at the University of California, Santa Cruz whose specialties include Islam, modern France, secularism, and sexuality. Her book, The Republic Unsettled: Islam, Secularism, and the Future of France (Duke University Press, 2014), alternates between an analysis of Muslim French politics, ethics, and social life and the contradictions of French secularity (laïcité) that this new Muslim subjectivity reflects and refracts. Reflecting on public discourse in the aftermath of the Charlie Hebdo attacks in 2015, including the author’s own participation in that discourse, this essay reverses the typical framing of France’s “Muslim problem” to consider the ways that French secularism (laïcité) and the French republican political tradition are problems for pluralism. Rather than take for granted the conventional narratives that laïcité entails strict neutrality and that the French nation is one and indivisible, Fernando analyzes French secularism and French republicanism as myths that are historically fabricated but have real effects on the world. 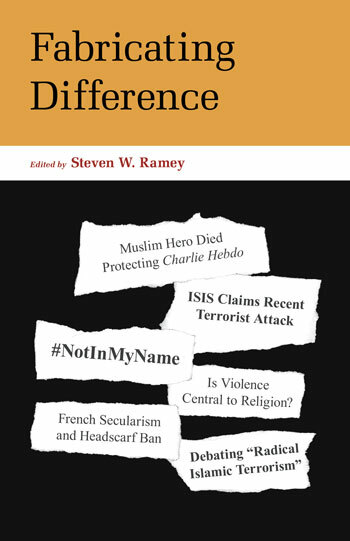 Fernando draws on Muslim French civic activists’ critiques of France to trace a history of laïcité and republicanism, and to delineate the ways France has constructed Muslims as inherently different. Presenting this ethnographic methodology as a model, she also calls on her fellow scholars to take “native” interlocutors on the ground seriously as theorists in their own right and not merely as social actors, theorists who may be right about the world. Damon T. Berry is a visiting assistant professor in the Department of Religious Studies at St. Lawrence University where he teaches courses on race in religions, religions and conspiracy theory, and religion and violence. He specializes in the study of the intersections of racist and religious discourses. In this short essay Berry employs what Fernando’s work brings to our attention to briefly interrogate bigoted claims about Muslims that not only perpetuate damaging stereotypes but also, after the Paris attacks, rendered French Muslims’ voices unheard when they tried to counter the perception in the media that they were uniformly alien to French society and somehow communally responsible for the attacks. By way of example, the essay discusses a CNN interview with a French Muslim civil rights activist that took place days after the attacks. In this interview we can see a reciprocal relationship between bigotry, ignorance, and the stifling of Muslims’ voices that forms the basis of an especially limited type of “knowledge” that shapes and informs bigotry toward Muslims, or what Berry calls anti-Muslim epistemology, . Tara Baldrick-Morrone is a Ph.D. candidate in Religions of Western Antiquity at Florida State University. Her research focuses on the reimagining and reconstruction of early Christianities, especially in the use of martyrdom and violence in late antique and modern-day discourse. This essay seeks to analyze the use of persecution and martyrological language in American political discourse by attempting to historicize ideas about early Christian martyrdom, to which politicians and the media often implicitly refer. Attempting to understand the work done by pointing to an imagined narrative of consistent persecution allows us to pay closer attention to the ways in which groups further distinguish themselves from one another while also unveiling the very real, situated, and material dimensions at play. Building on Fernando’s discussion of ‘la république’ and laïcité as myth, this essay incorporates Bruce Lincoln’s theory of myth as narrative of the “deep past” to suggest that the depth of this deep past derives from a sort of rupture installed between the mythic past and the present. Invoking Kathleen Davis’ work on the way the discontinuity of periodizations grounds sovereignty, the essay analyzes the ruptures in the French political imaginary to hypothesize that the myths Fernando identifies not only provide political impetus for the regulation of Islam in France but also found the power by which the state undertakes this regulation. Vincent E. Burgess is a Ph.D. candidate in the Asian Religions doctoral program of the Department of Asian Studies at Cornell University. His research is currently focused on discourses of renunciation and environmentalism with regard to modern, North Indian religious traditions. In this response essay to Mayanthi Fernando’s article “The Myth of the French Republic,” Vincent Burgess applies Fernando’s theoretically nuanced and multidisciplinary approach in order to more thoroughly understand how strategies of othering are rhetorically employed in contemporary India. By demonstrating the importance of historicizing competing interpretations of secularity and nationalism, this essay argues for a mode of critical inquiry that draws from the humanities and social sciences to analyze and engage with popular, public discourse. Such an approach is not simply relevant and useful, but fundamental for a thorough understanding of how, exactly, various categories of difference are manufactured, historically situated, and discursively employed in the service of particular regimes of power. Andie Alexander is a doctoral student in American Religious Cultures at Emory University. Her research focuses on identity construction, discourses on classification and boundary construction, the practicality of definition, and public/private discourses with regard to religious identification, religious freedom, and nationalism in the U.S.
Constructing difference serves a practical role in the construction of identities. This essay explores the ways in which Islam, not only as a practice but also as an identity for Muslims, is constructed and subsequently regarded as antagonistic to a conception of an “American way of life.” In exploring how Islam is established as different and marginal in a normatively Christian America, this essay argues that these fabrications of difference are one of the ways in which the United States is attempting to construct its own national identity—one that includes certain practices while excluding others. With this approach, this essay regards “difference” not as a descriptive act but rather as a construction that is rooted in certain socio-political agendas and employed as a way to establish and maintain normative ideas of national identity in the United States. This chapter exposes the continued and pervasive Protestant assumption endemic to the academic study of religion. It uses ISIS as a way to show the way in which the rhetoric of authenticity/inauthenticity function in the field, describing how groups like ISIS undermine what we believe or have been told to believe religion is (e.g., internal, spiritual, positive, and as something that is supposed to do good in the world). The result is that we have largely written such groups off as somehow not religious, irreligious, or even areligious. Instead of this, we need to use groups such as ISIS to rethink our traditionally liberal paradigms for studying religion. Thomas J. Whitley received his PhD from Florida State University in Religion in 2016. He is interested in how difference is made meaningful, especially at the intersection of heresy, orthodoxy, and sexuality in early Christianity. He is currently working on a book that analyzes this intersection in 2nd-century Christianity through the lens of the little-known figure Carpocrates and examines how Carpocrates was reimagined by later Christians. Thomas regularly writes publicly on the use of rhetoric, classification, and identification in religion, media, and politics. This essay heeds Aaron Hughes’ call to focus not on amorphous, politically loaded, and problematic concepts (such as, what Islam really is) but, rather, on the work that social groups perform in order to build and maintain identities and borders by examining the work that the narrative that “Christianity is anti-gay” performs rhetorically and socially. Using James Scott’s concept of the public transcript to analyze the “Christianity is anti-gay” narrative reveals how the public transcript is actively engaged in fabricating difference in contemporary religious liberty debates in the United States. In the United States, people who identify as Muslims become caught within the rhetoric of authentic / inauthentic religion. The discourse of pluralism accepts different religious identifications, but discourses of American security often attempt to exclude Islam as a threat, leading to the racialization of Islam that marks anyone who presents physical markers, including skin tone, that some associate with Islam to be a potential threat. Procedures of monitoring and acts of revenge both focus on bodies that are marked as different in these ways. Such actions have resulted in violence against people who identify both as Muslim and as non-Muslim because they fit a particular phenotype, generating efforts by some to emphasize their non-Muslim identification over any ethnic or national identification. These confusions also generate calls to promote better religious education in society and encourage some who identify as Muslim to turn outside the United States for community and safety. In the study of religions, various categories are offered to non-western traditions like Hinduism in order to equalize their place at the multicultural table. While Hughes argues that scholars must refrain from adjudicating good and bad religions, Sivakumar argues that religionists are already embroiled in this process, recognizing the colonial motivations through which differences were fabricated. Furthermore, practitioners also utilize these scholarly categories to further their own image of a palatable religion, still leaving a space for validating supernatural claims and noting marginalized expressions that do not fit into general understandings of Hinduism. This essay builds on the discussion of difference and the assumptions about religion in Hughes by focusing on the distinction between religion and magic / superstition. Briefly tracing the distinction between religio and superstitio back 2000 years, Cuthbertson focuses on the emphasis on distinguishing between religion and magic arising from the Protestant Reformation. He highlights ways people have employed that distinction to dismiss Catholic ritual (by Protestant leaders), primitive religion (by forefathers of religious studies), and the contemporary Prosperity Gospel (by some scholars). Charles McCrary is a PhD student in American religious history at Florida State University. His dissertation is a study of “sincerely held religious belief” in nineteenth- and early twentieth-century America, focusing on the centrality of “sincerity” in issues regarding authenticity politics, secularism, and religious freedom. This essay considers the particular publics in which scholars of religion might speak, the limitations to critical discourse (as differentiated, by Hughes and others, from uncritical or perhaps “insider” or “theological” discourse) imposed by those spaces, and how we might overcome these limitations. The essay considers a few cases studies from liberal political theory and American religious freedom jurisprudence before closing with some practical questions for critical scholars as they address and thus construct their publics. This essay discusses the dynamics involved in the fabrication of difference, including the selection of particular differences and similarities to organize the world into groups and the persistence of those organizing schemes, despite contradictory evidence, because they support the power and access of the dominant communities. Using the analysis of the 2016 United States Presidential primaries for the Democratic and Republican parties as data, this essay considers the influence of polling and analysis on the fabrication and naturalization of particular differences to create useful narratives as an example of these processes, dividing the data into differences presumed to be biological and differences presumed to be self-chosen. Building on the concept of Orientalism, the naturalization of such fabricated differences through fictionalized narratives reinforces the power and consequence of these assertions of difference, leading to a call for scholars and others to note who applies a particular label avoid to naturalizing particular points of difference. The collection highlights differences between social and religious groups, but Ramey argues that the same processes apply to conceptual categorization more generally. One of the lasting lessons of structuralism is that all meaning is based on difference: difference is always already present and constructed. The other lesson is that this insight does not translate easily into a research program. Relations between the discursive construction of social differences and specific social processes need to be nailed down to begin with. In this light, Fabricating Difference is a valuable conversation starter.